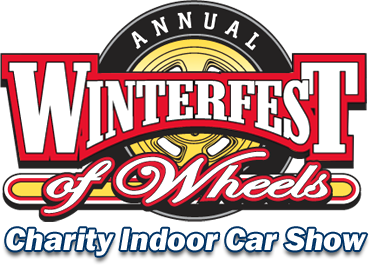 Join us at Winterfest of Wheels! This car show is about so much more than classic cars. Net proceeds from the event support the Cure Kids Cancer program at Sanford Children’s Hospital, providing equipment, programs and services to patients and families as they go through their cancer journey. In addition to hot rods from across the country, you’ll find vendors for everyone, a kid’s room, and some special friends wondering through the exhibit. Get your tickets online or at the door. We’ll see you at the Sioux Falls Convention Center on February 1-3, 2019. Friday, Feb 1st 5:00-10:00 p.m. Opening ceremony with special guests- 5 p.m.
Live Band- Something New- 5:30-8:30 p.m.
Saturday, February 2nd 10 a.m.-9 p.m.
Coloring Contest 11 a.m.-2 p.m.
Sunday, February 3rd 9 a.m.-3 p.m.
Celebrity Appearance- Minion, Troll and Pikachu Characters until 1 p.m.
For more information, visit WinterfestOfWheels.com .